Combating excess dietary fat can be challenging. 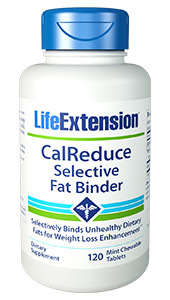 But CalReduce Selective Fat Binder safely binds to excess fats in your body and can help you maintain a healthy weight. 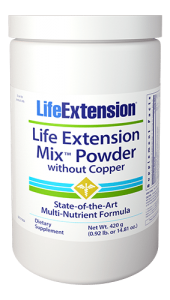 The primary ingredient in this formula is alpha-cyclodextrin, a patented super-fiber that selectively absorbs fat molecules from your food before they enter your bloodstream ? 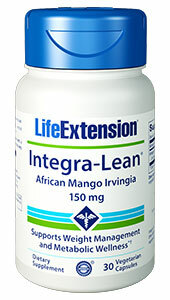 without gastrointestinal side effects. And research shows that alpha-cyclodextrin selectively binds to unhealthy saturated and trans fats without affecting healthy fats such as polyunsaturated fatty acids.1 Furthermore, alpha-cyclodextrin safely improves metabolic health by maintaining healthy blood sugar levels within normal range and removing harmful fats from the bloodstream. 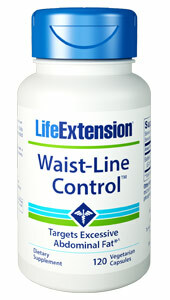 Chew two tablets immediately after a fat-containing meal, once or twice daily, and make CalReduce (along with a healthy diet and regular exercise) your best defense against unwanted dietary fat! Due to license restrictions, this product is not for sale to customers outside of the United States of America and Canada. Other ingredients: sorbitol, xylitol, stearic acid, calcium silicate, guar gum, L-leucine, natural peppermint flavor, citric acid, stevia, maltodextrin, modified food starch, gum arabic. FBCx® is a trademark of Soho Flordis International Pty Ltd.